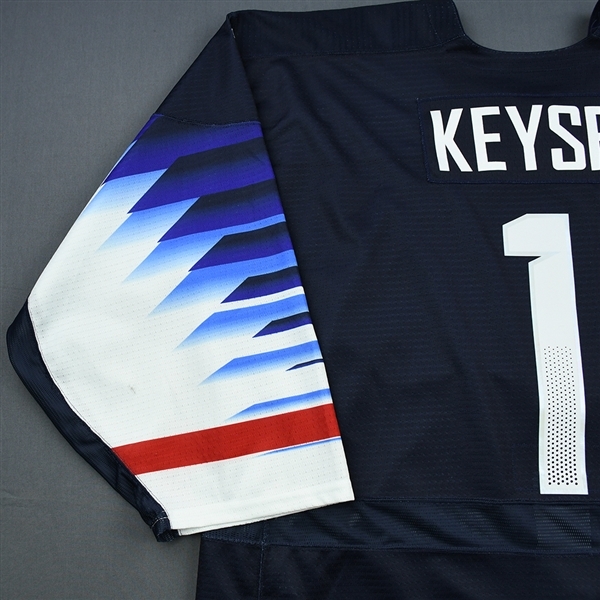 This auction is for the actual blue jersey used by #1 Kyle Keyser. Keyser played in 2 games, both while wearing this blue jersey, vs. Slovakia and Sweden. 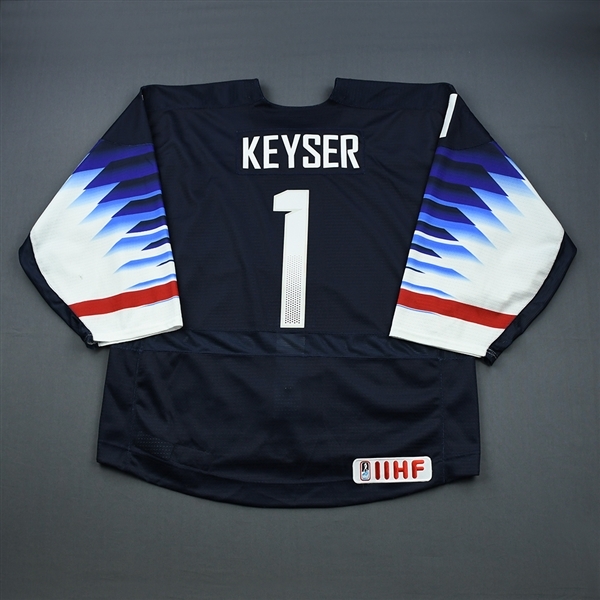 Keyser currently plays for the Oshawa Generals. He signed as a free agent and is currently property of the Boston Bruins. 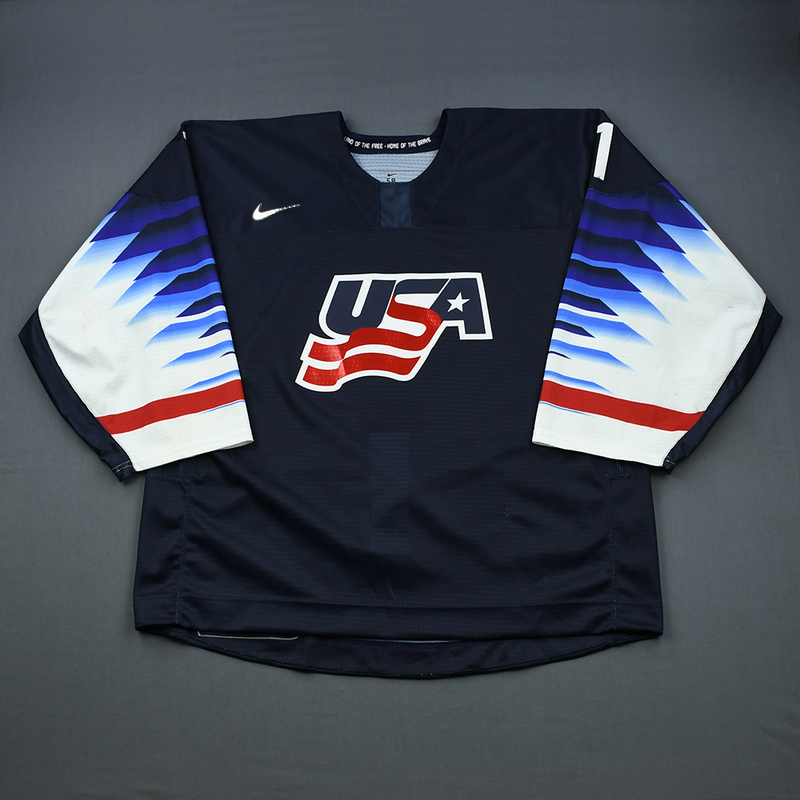 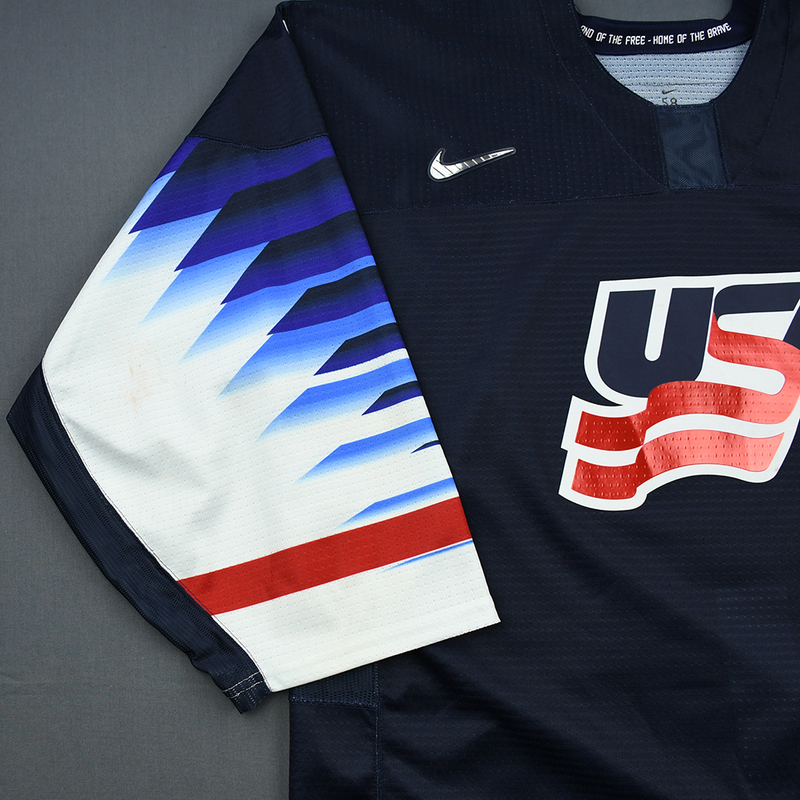 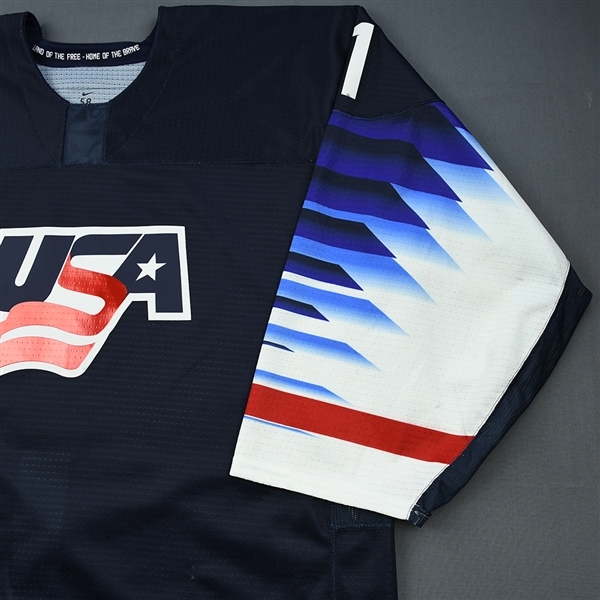 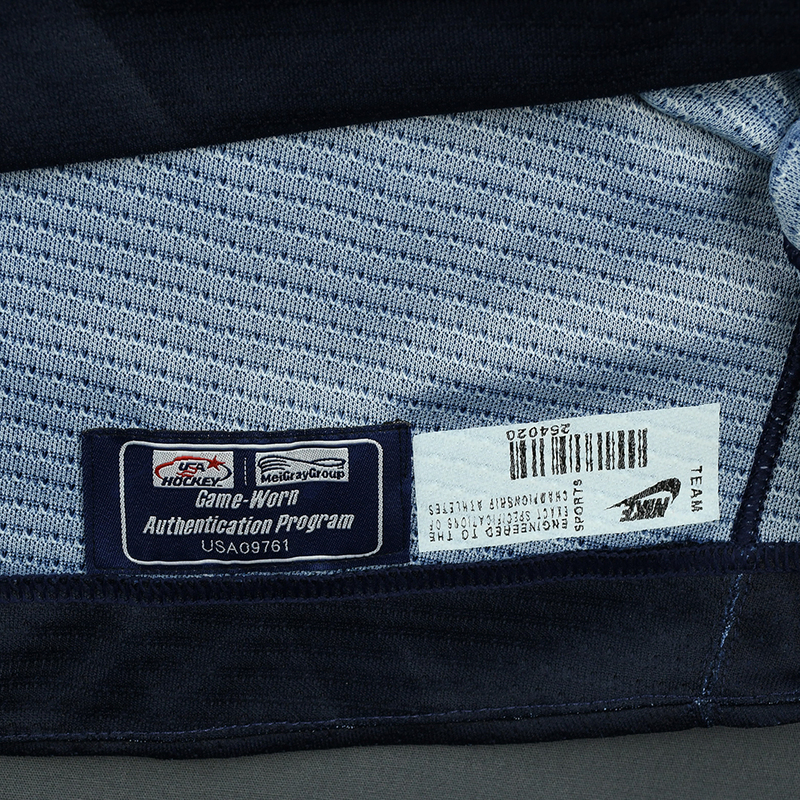 This jersey, a 58G, has been registered in the USA Hockey-MeiGray Game-Worn Authentication Program as number USA09761.